One of my very favorite butterfly photos. This gulf fritillary butterfly almost looks like a painting. I used the macro setting on my camera as I often do for closeup shots and this one turned out perfectly. The detail of the wing is exquisite. 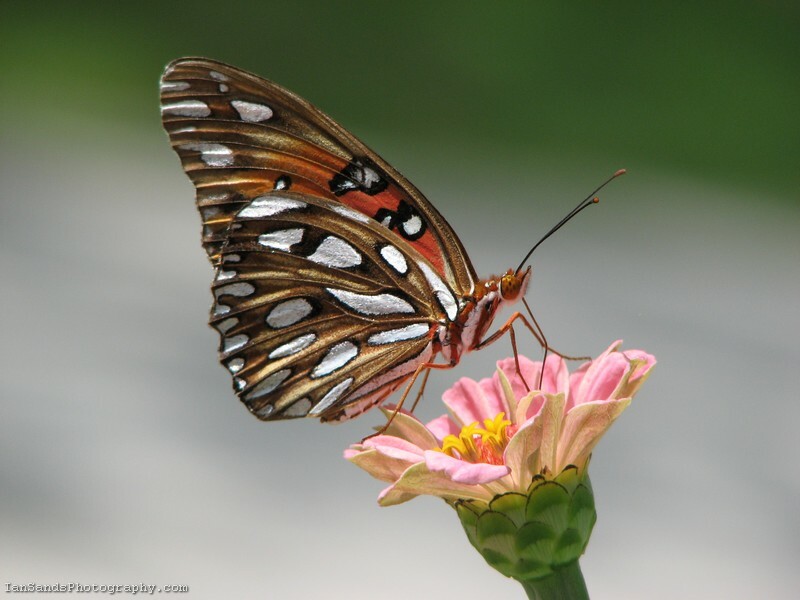 The gulf fritillary butterfly is a common sight in Florida and looks like a different butterfly when it’s wings are closed opposed to when they are open. The opened wings are a bright orange color and not as detailed as the outside. If you have flowers in your yard there should be butterflies to enjoy. Thank you for viewing my photography. I enjoy nature very much and hope others take the time to appreciate it as well.